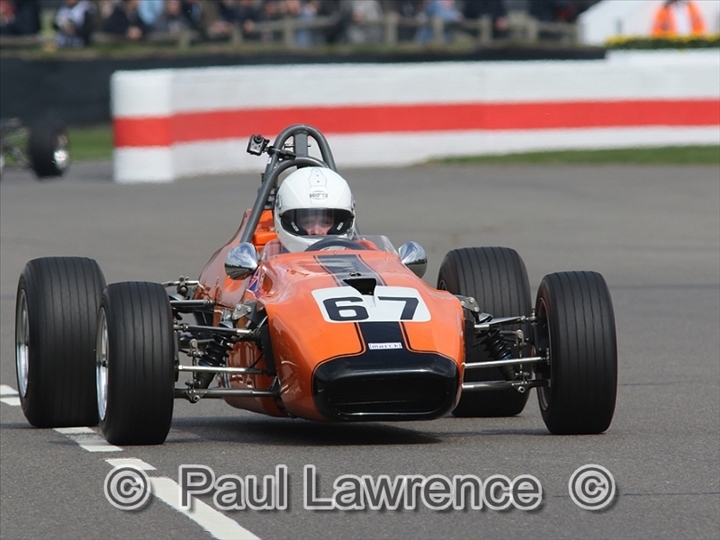 Ben Mitchell was the toast of the Historic Formula 3 paddock at Goodwood after taking a glorious victory in the Derek Bell Trophy race at the 77th Members’ Meeting (7 April). 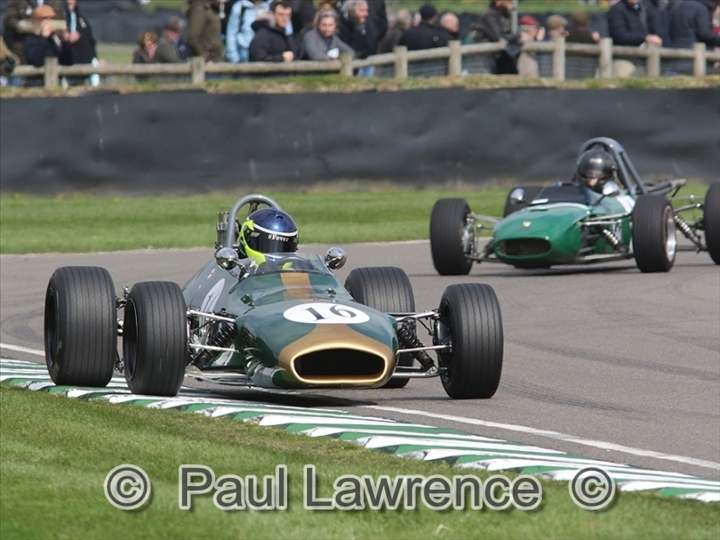 Mitchell won first time out in the Brabham BT28 of Robs Lamplough but only after a fantastic battle with the earlier ex-Chris Irwin Brabham BT18 of Andrew Hibberd. 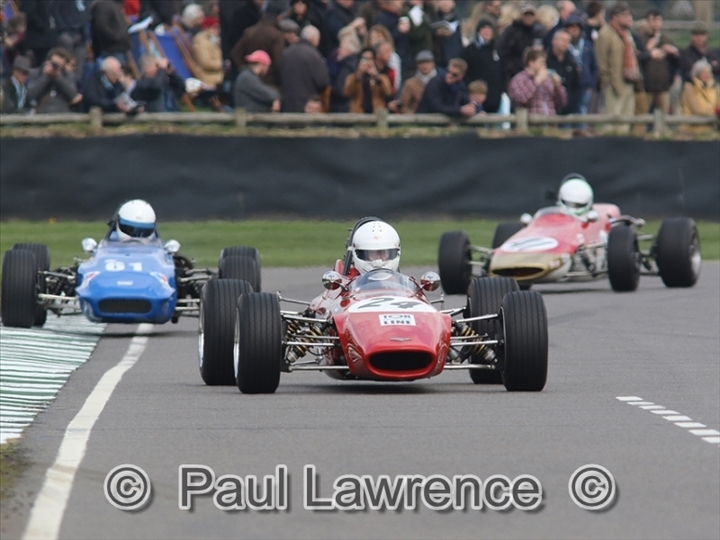 Three years earlier Hibberd had won at Goodwood on his HF3 debut but this time Mitchell squeezed ahead after a sporting contest of the highest order to win by just 16-hundredths of a second. 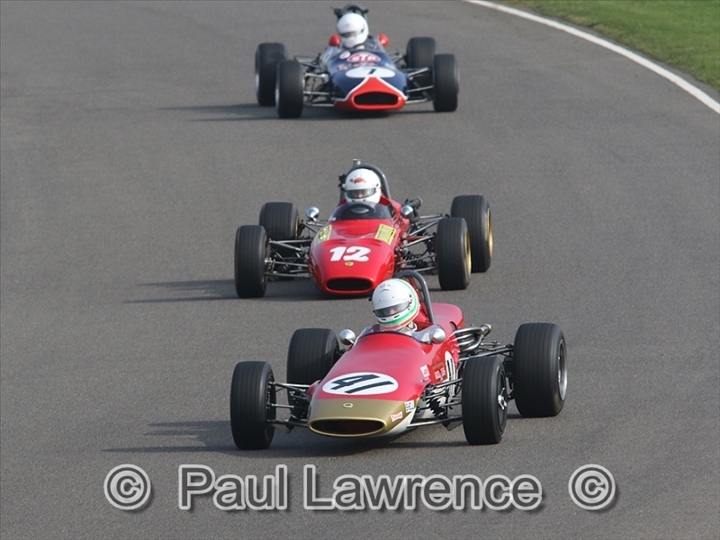 In far better weather than the 2018 event, Mitchell and Hibberd traded the lead numerous times in a battle that typified all that is good about historic racing. The crowd loved the wheel-to-wheel dice, as did the drivers. 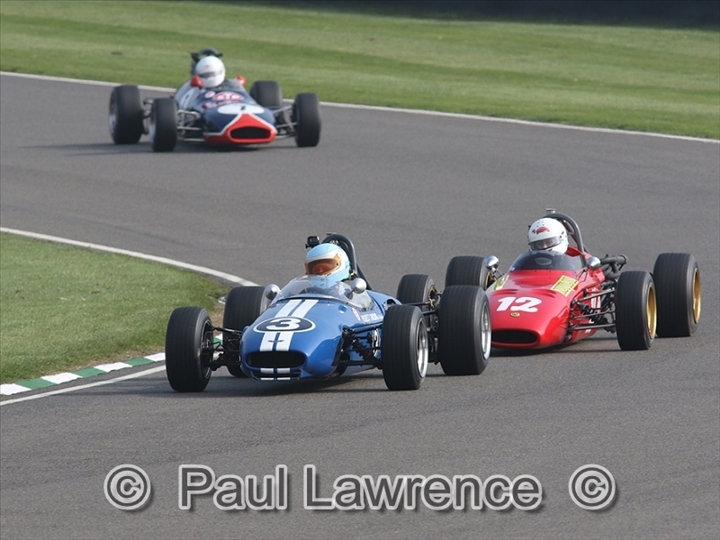 Meanwhile, Andy Jarvis turned in another of the drives of the race to take the final podium position. Hibberd set the qualifying pace as Mitchell had his first laps in the BT28 to take second slot on the gird. 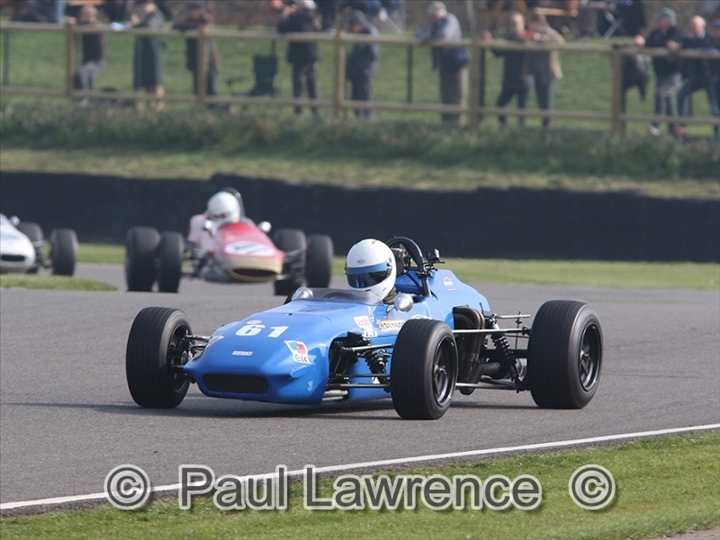 Jeremy Timms, first time out in the ex-Waggitt Chevron B15, was an impressive third from Enrico Spaggiari (Lotus 41X) and Ian Bankhurst (Alexis Mk8). 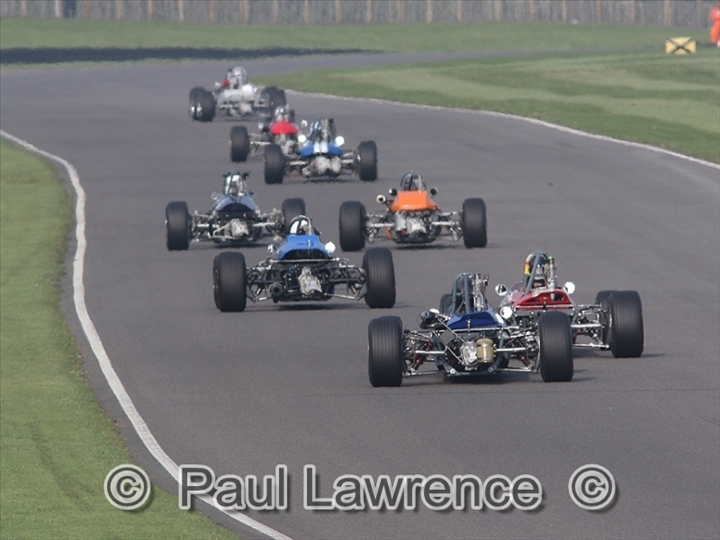 A superb 25-car field headed out, but Simon Armer (March 703) was sidelined on the opening lap. 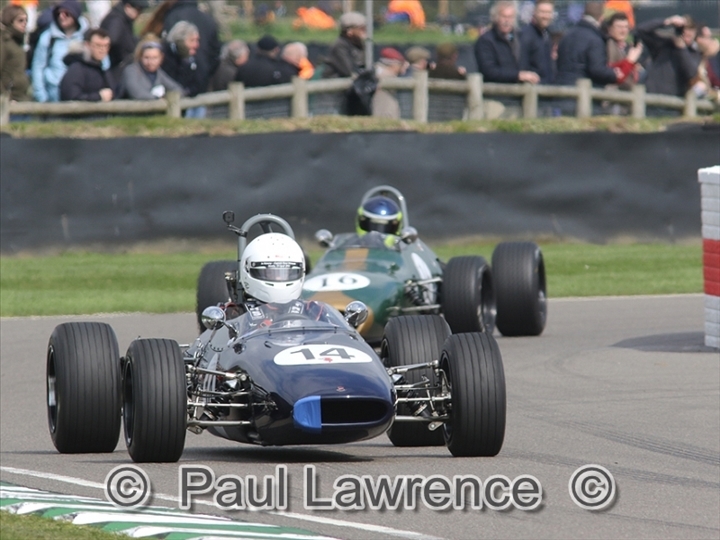 Sunday morning’s race was greeted by dry and mild conditions but the grid was reduced by one on the parade lap. 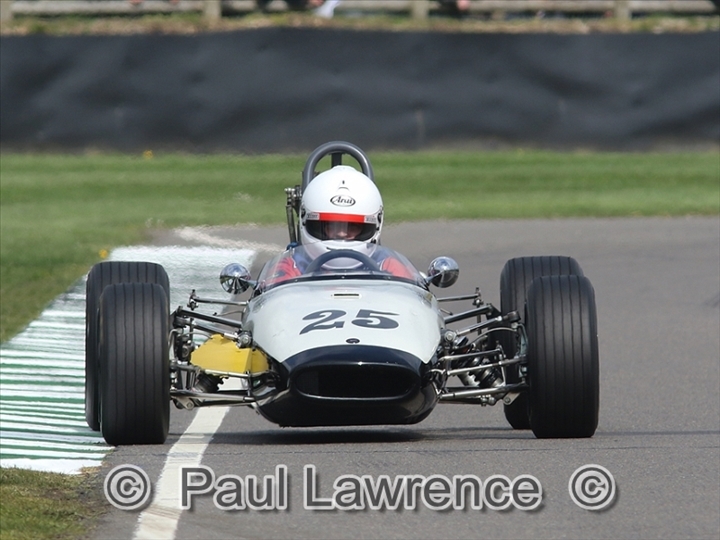 Simon Diffey was due to race the Brabham BT21 that has been in store with Crosthwaite and Gardiner since the middle 1970s, but he was forced to pull off at Madgwick with transmission problems. Right from the start, Hibberd and Mitchell set a tremendous pace and eased clear of a huge contest for third. 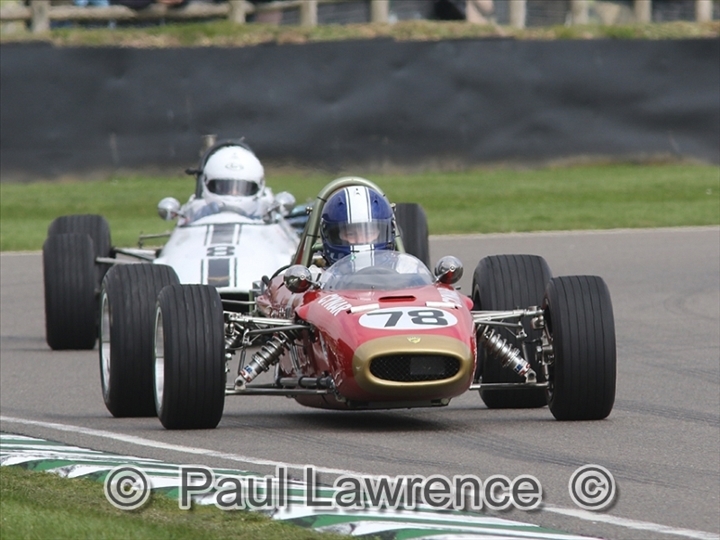 The lead changed constantly, with both drivers running ahead as they slipstreamed around the Goodwood sweeps, both giving and receiving racing room in a mature yet enthralling contest. 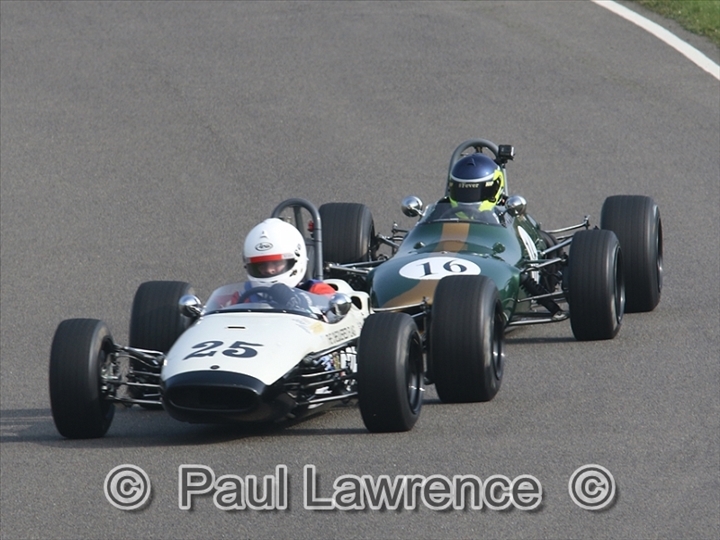 Unfortunately, the safety car was out just after half distance when Paul Waine slid wide into the tyres at Madgwick in the rare De Sanctis. Paul was quickly out of the car without injury, but the stricken car was in a difficult position and the safety car allowed its removal. 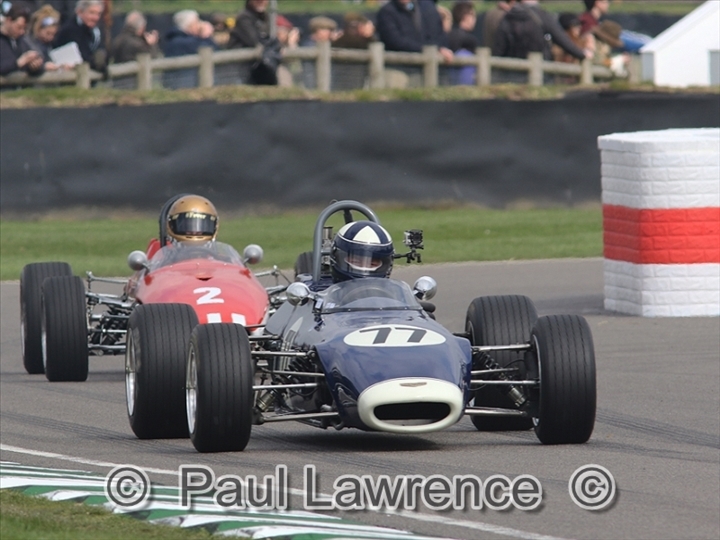 The clock kept ticking and it was touch and go if the race would resume with one or two racing laps. 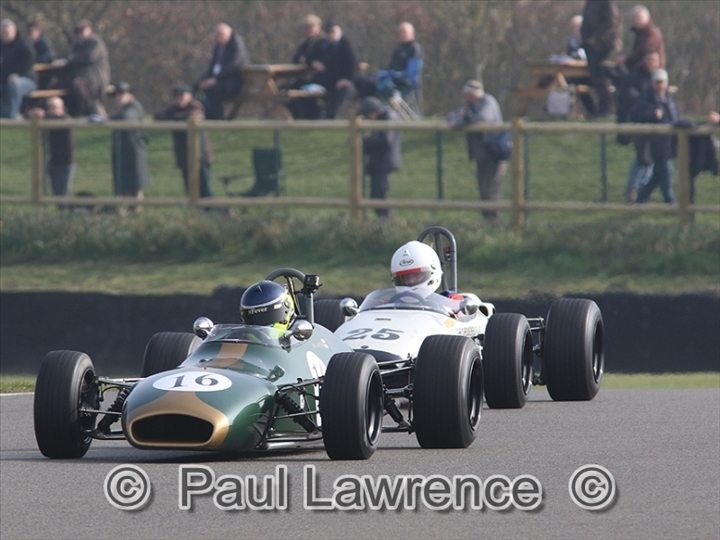 Mitchell decided he needed to lead over the line at the end of the restart lap in case it was the last one, so he used the substantial tow on the Lavant Straight to dive ahead into Woodcote. 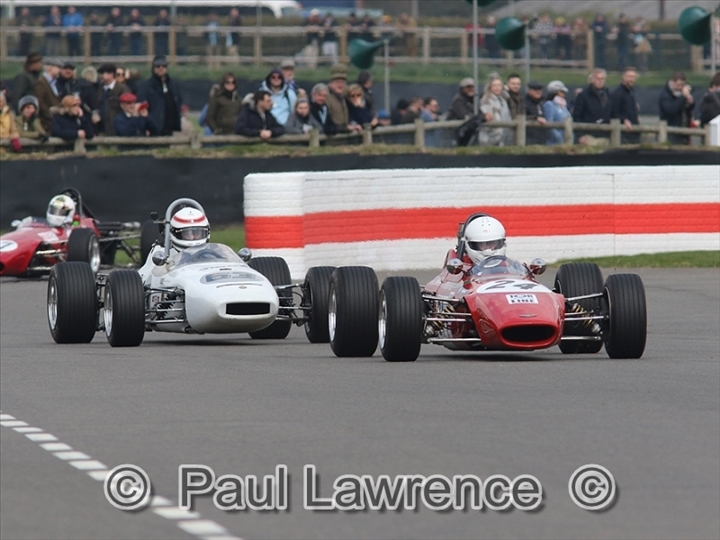 But the flag did not come out and Hibberd towed back ahead on the run to Fordwater on what would now be the last lap. 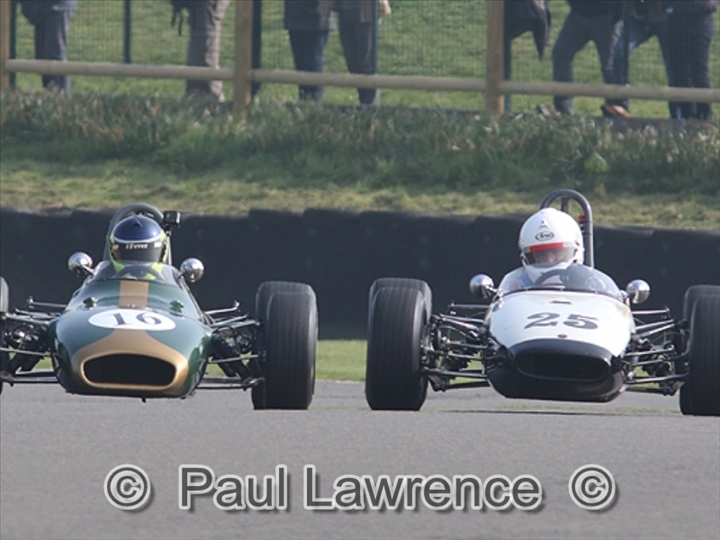 Once again, Mitchell slipstreamed up alongside on Lavant Straight, this time going for the inside line. Hibberd was fair and gave him just enough room as the BT28 eased ahead to win by a tiny margin. 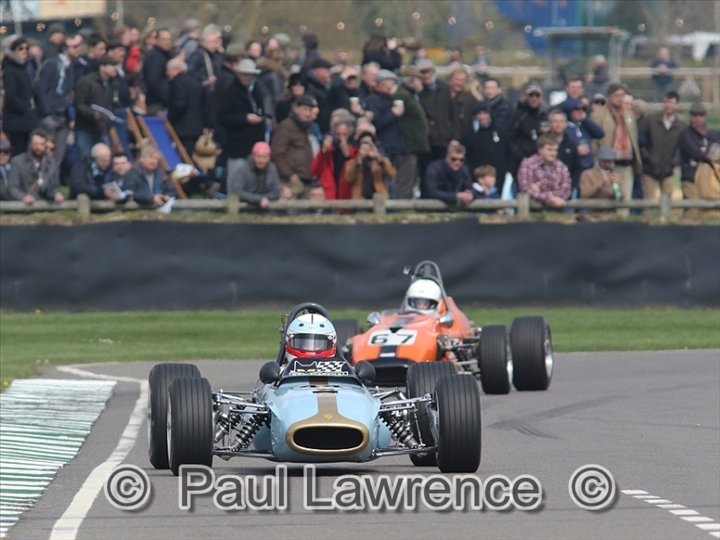 The final podium place went to Andy Jarvis after a mighty Goodwood debut in his March 703, running a Mark Linstone engine. From ninth on the grid he initially went further back after a disastrous start, but then worked his way right up the order to third. “I fluffed the start and I think I was about 20th into the first corner. I then just drove the wheels off it,” he said. 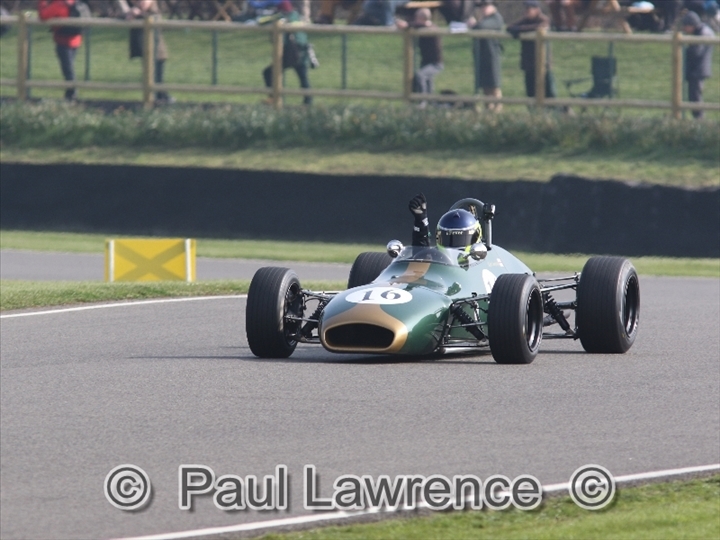 Jarvis edged ahead of Christoph Widmer (Brabham BT18A) in the closing stages, but fourth was still a fine result for the Swiss racer who remains the only 1-litre F3 racer with a 100% finishing record at Goodwood. 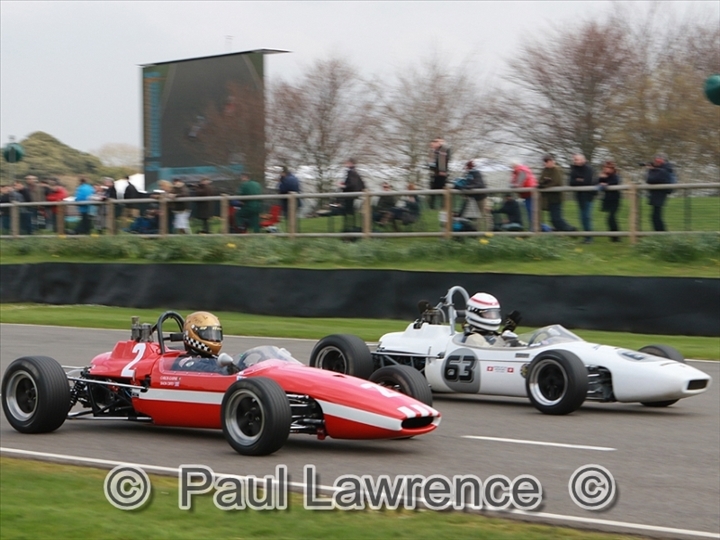 Not far back, another fine five-car battle, featuring four manufacturers and five countries, finished in the order Steve Jones (Brabham BT28), Francois Derossi (Chevron B17), Marcus Mussa (Tecno), James King (Chevron B17) and Spaggiari. Rounding out the top 10 was less than Timms might have expected, but he did well just to finish after running the entire race in fourth gear.